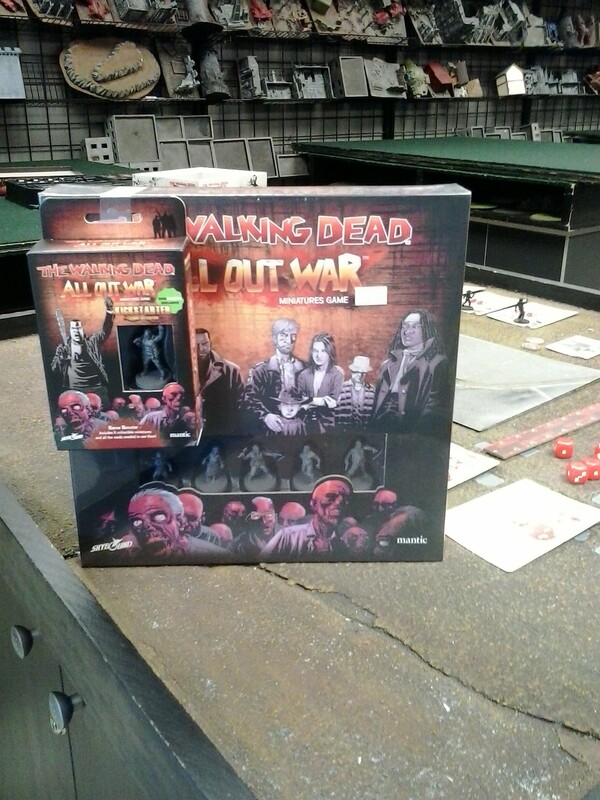 The Walking Dead: All Out War is the survival miniatures game from Mantic Games, based on the characters from the pages of the bestselling The Walking Dead comic series from Skybound Entertainment. Your group will be pitted against other groups – in a bitter fight for supplies… but beware, the Walkers react to your every move. In this game everyone and everything is trying to kill you. The starter box comes with the kickstarter exclusive booster. Posted in Uncategorized. 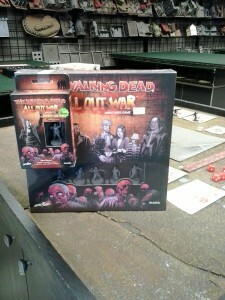 Tagged All out war, kickstarter, walking dead.